Well 2017’s here. Whether it will be as full of upheaval and death as its predecessor, I doubt. But if it is, then current affairs will replace benzedrine this coming year. 1 – drink more German beer on tap (which will necessitate going to London). 2 – explore the shire in which I now live instead of constantly visiting London. Statement number one reflects that the best beer I had in 2016 waited until late December. 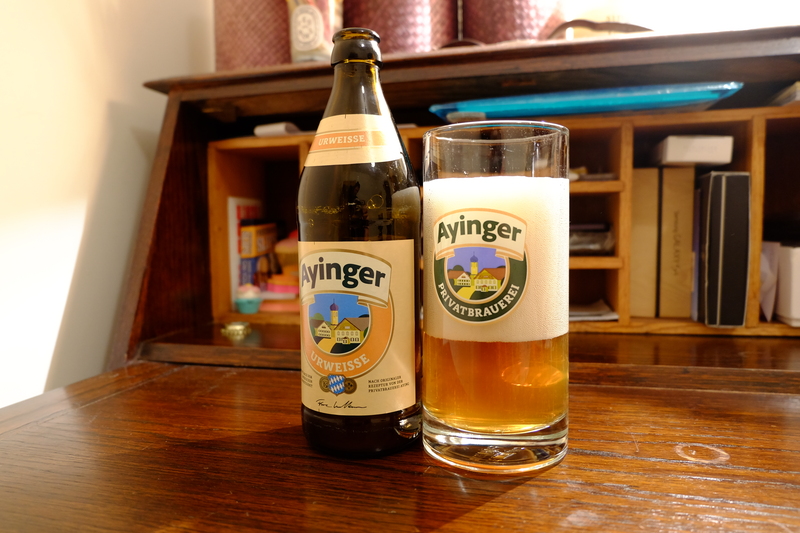 It was a glass of Lagerbier Hell from Augustiner-Bräu – Munich’s oldest brewery. It was dispensed from keg at the Beer Shop in St Albans. At the time, the town was in a fifteen tog duvet of freezing fog so imagine how much more appealing this beer would be in the swelter of summer. Speaking of which, I also had a brief fling with Kölsch at the end of May (this time just in bottle) so that’s twice I got seduced by Deutsches Bier in 2016. Lager is like the tide sweeping in over a salt flat. When it’s good it’s the most ravishing beer. It’s gorgeous and it’s always been there for me to ignore. Why? My ignorance of German beer might also be linked to the fact that the bottled version often pales against its tap version. Apart from a few examples like Franziskaner Weissbier, I rarely see variety of German beer on draught – even in London. That’s why the Lager from the beer shop was such an eye-opener. It’s also in stark contrast to IPA which has in one popular guise put itself on a path of convergent evolution with Um Bongo. IPA is rapidly becoming the syrup at the bottom of tinned fruit both in taste and consistency. It’s lovely but it’s beginning to miss an elemental part of beer: the refreshment. The problem is I have been fixated on the British and the American with small cameos from Belgium for years now. In part, I think it’s because I’ve subconsciously convinced myself to ignore beer from large established breweries (unless, hypocritically, it happens to be Fullers). It’s time to put that right in 2017. The second statement isn’t a swipe against the capital. I love it. It’s in me and always will be. I’ve worked for the same borough council now for over ten years so come into it each week. On my adventures around Westminster, I often pass pubs I don’t know and peer through the windows to try and discern the outfit that runs it and the beer it serves based on the pump clip silhouettes. I always used to put down markers for when I was off duty. We moved out in 2011 but the compulsion to go to London during down time carried on. 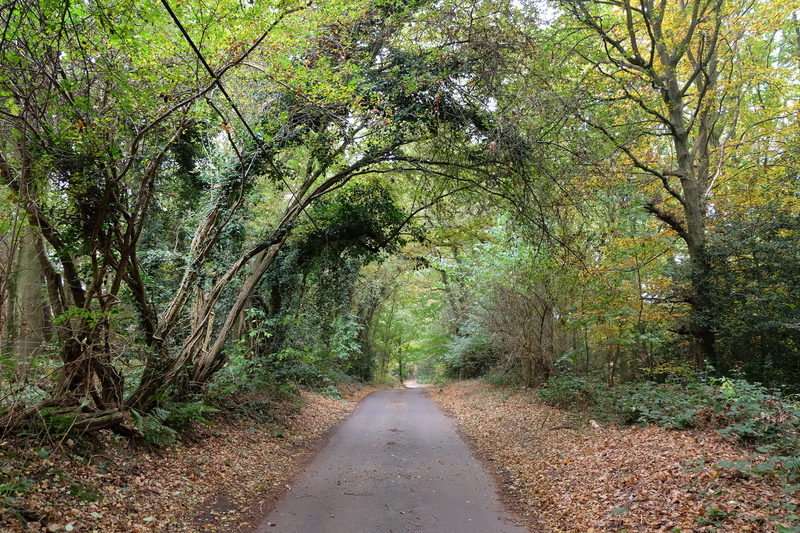 But this means I have neglected Hertfordshire where I now live. It’s to my great shame that it wasn’t until 2016 I finally visited places like Sarrat and Watford on beery days out. The older pub-goers I know in St Albans that are or were plumbers, milkmen and builders all know the surrounding areas. The people that moved up from London tend to be completely ignorant of them. In St Albans’ case, this isn’t actually a new phenomenon as it’s always been a commuter town and owes its wealth to the big smoke. On the street I live on, most people still work in London so the north/south commute is the norm. The east/west axis doesn’t exist. The villages and towns in Hertfordshire are connected by wiggly arterial bus routes that take time and often require you change at least once. Since moving to St Albans, I haven’t been on a single bus. I actually had to ask a local codger whether bus drivers take payment (my recent experience only being London) as I genuinely didn’t know. I was also given a piece of advice: never wait to get the last bus – it might never come. But out there in Hertfordshire’s multiple ayots, garden cities and steads, there are breweries of mystery and brew pubs of legend. They are mine to discover along with the shaggy creatures that run and frequent them. I have big feet for my short body so I’d make an excellent hobbit. It’s finally time to cut across country in 2017.